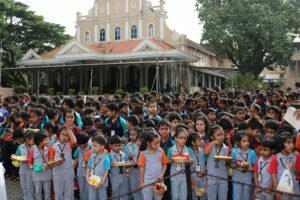 Lourdite family celebrated the birth of the Blessed Virgin Mary on 7th September 2018. 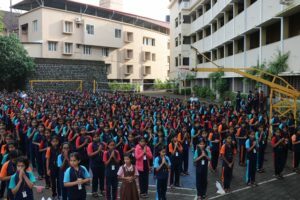 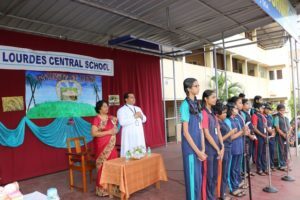 Students conducted a beautiful assembly with a devotional hymn and the importance of the nativity of Mother Mary was shared by Nilisha of class XIC. 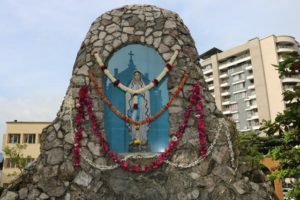 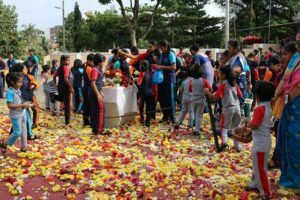 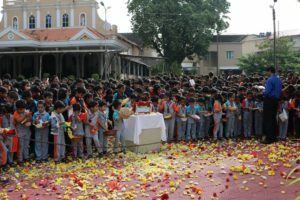 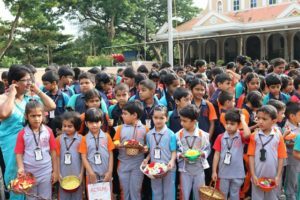 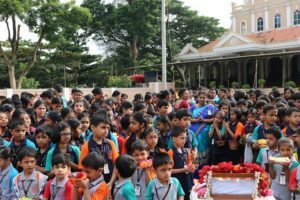 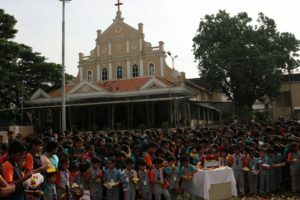 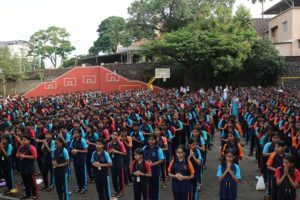 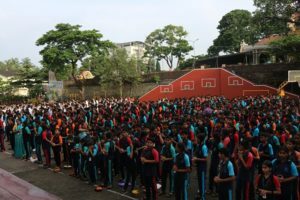 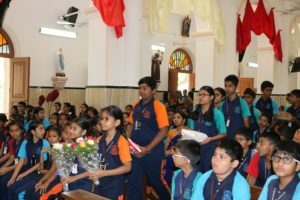 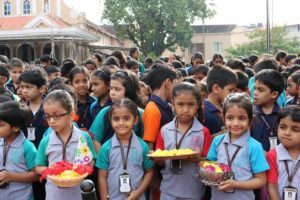 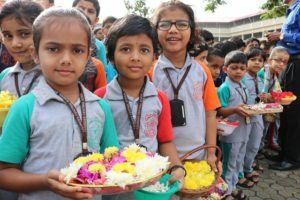 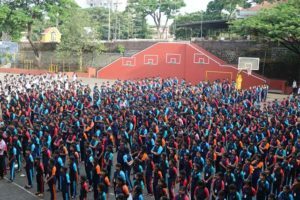 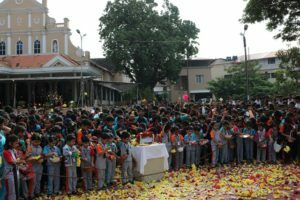 After the assembly, Lourdites gathered around the grotto of Mother Mary to offer flowers and then the Catholics proceeded to the church for the Eucharistic celebration and offered their offerings which were later sent to the orphanages in Mangalore. 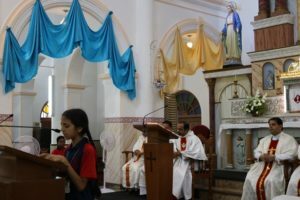 The main celebrant for the holy mass was Rev. 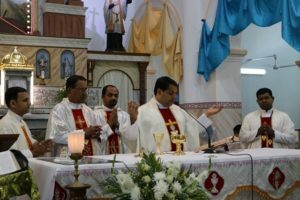 Fr Rupesh Madtha, Director of YCM &YSM, Mangalore Diocese and co-celebrants were the Principal Rev. 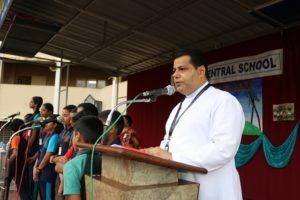 Fr Robert D’souza , the Manager Rev. 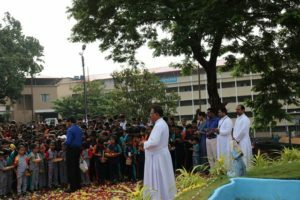 Fr Wilson L Vitus D’souza, Rev. 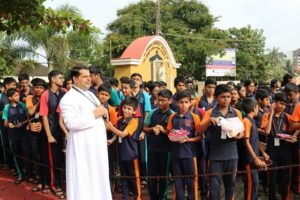 Fr Rohan Lobo and Rev. 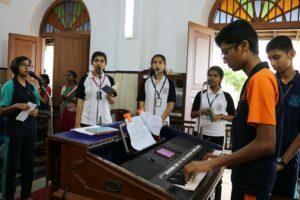 Fr Alphonce Jojo. 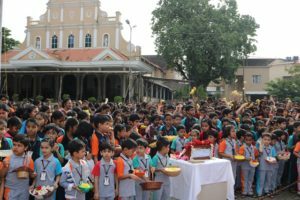 Melodious singing of hymns increased the beauty of the eucharistic celebration. 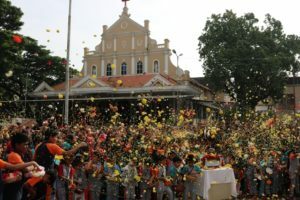 The celebrants blessed and extended their festive greetings to all. 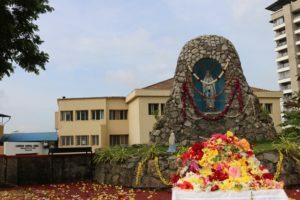 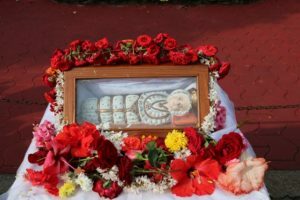 Rev Fr Rupesh Madtha gave a message stating that – mamma Mary has given her heart- Lord Jesus to us & on earth; mothers being the replica of mother Mary have to be loved and respected. 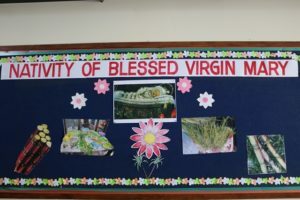 Fr principal wished all the lourdites happy feast of the Blessed Virgin Mary.